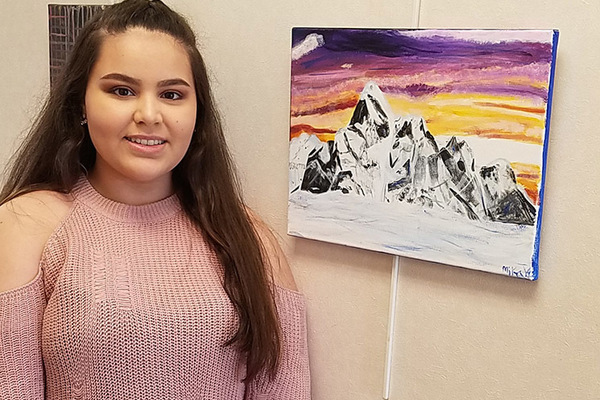 BATAVIA, N.Y. -- Genesee Community College invites the community to the Albion Campus Center on Wednesday, April 25, 2018, from 4 - 5 p.m. to enjoy an Art Reception for a GCC student exhibit. Since the beginning of this spring semester, Adjunct Professor Karen Flack's ART 114 painting students have been creatively and colorfully painting canvasses that are a must see! If you can't make the reception, you may stop by some other time -- the art work will be on display until May 9, 2018. This reception is free and open to the public and light refreshments will be served. The Albion Campus Center is located at 456 West Avenue, Albion, NY 14411. For more information contact the Albion Campus Center at (585) 589-4936.